Ensuring the financial security of individuals recovering from first episode psychosis is imperative, but disability income programs can be powerful disincentives to employment, compromising the social and occupational aspects of recovery. Survival analysis and Cox regression analysis were used to examine the rate at which individuals served by early intervention for psychosis (EIP) services apply for government disability income benefits and factors that predict rate of application. Health records for 558 individuals served by EIP programs were reviewed. Within the first year of receiving services 30% will make application for disability income; 60% will do so by 5 years. Rate of application is predicted by rate of hospital admission, financial status and engagement in productivity roles at the time of entry to EIP service. The findings suggest the need to examine the extent to which the recovery goals of EI services are undermined by early application for government income support. They also suggest the need to develop best practice guidelines related to ensuring the economic security of individuals served. This work was supported by a grant from the Social Sciences and Humanities Research Council of Canada (Grant Number 410-2006-0919). National Institute of Mental Health. (2011). 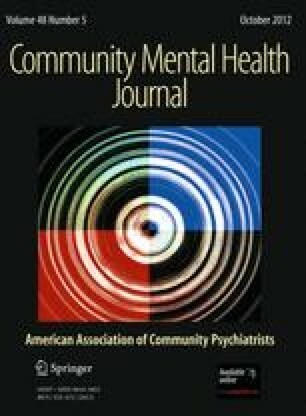 Recovery after an initial schizophrenia episode (RAISE): A research project of the NIMH. Retrieved from http://www.nimh.nih.gov/health/topics/schizophrenia/raise/index.shtml.